While the U.S. has suspended its military transportation across the Afghanistan-Pakistan border, that does not have any effect on traffic through Central Asia, a Pentagon spokesperson has told The Bug Pit. In a protest against U.S. drone strikes in Pakistan, supporters of Pakistani politician Imran Khan have imposed a sort of vigilante blockade of U.S. and NATO cargo across the border to Afghanistan. "Protesters have taken the law into their own hands deciding who can pass and go on to Afghanistan, and who can't," the BBC reported. "They have been harassing truck drivers and turning back vehicles carrying Nato provisions." As a result, the U.S. has "voluntarily halted US shipments of retrograde cargo" through Pakistan, the Pentagon announced. In the past, that has meant a big boost for Central Asia: when Pakistan closed the border in 2011, it took close to two years to fully restore traffic. In the meantime, the U.S. was paying an extra $100 million a month to ship its goods via the longer, more difficult Northern Distribution Network. We still have direct air, multi-modal, and the NDN in current use. There has been no shifting of additional traffic to the NDN that I'm aware of. 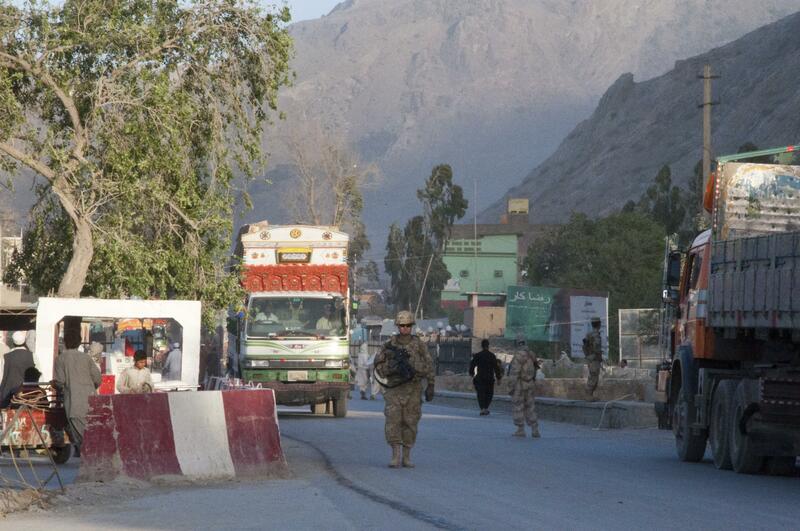 We have enough flexibility built into our system that we can simply stand by at the Torkham border crossing [between Afghanistan and Pakistan] for a time, waiting for the route to become safe enough so our contracted convoys can continue on. We're using the NDN primarily for incoming supplies to support our operations in country, and we have been using the Pakistan GLOCs [ground lines of communication] as one of our primary routes for equipment going out of Afghanistan. The U.S. has said it doesn't anticipate a long closure of the Afghanistan-Pakistan border, and given the ad hoc nature of the blockade, that seems a reasonable expectation. So if Central Asian governments and shipping companies were hoping to cash in again, looks like they may be disappointed.